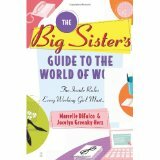 Big Sister's Guide to the World of Work: The Inside Rules Every Working Girl Must Know (Touchstone, 2005). DiFalco is the Director of Creative Services in the Marketing Department of Champlain College. Prior to joining the marketing team at Champlain College, Marcelle founded and ran WordBroker Communications, LLC, a consulting firm specializing in marketing and advertising writing—primarily for startup operations. In addition to running WordBroker Communications, Marcelle held the position of Vice President of Content/Editorial Director of Tavolo, Inc.—a dot.com that was once the largest branded specialty retailer of premium foods and kitchenware on the Internet—where she was responsible for not only producing the site’s deep content components, but also for the conception and development of the firm’s overall merchandising strategy and primary marketing vehicles. Financial Planning for Women Entrepreneurs presented by Mary Murphy, independent branch owner, Charles Schwab. Marketing Your Business presented by Lisa Landry, owner of Savvy Marketing in Manchester.